On the latest episode of the iDisciple Podcast, iDisciple CEO David Henriksen is joined by Ken Costa, international banker, philanthropist, and author. 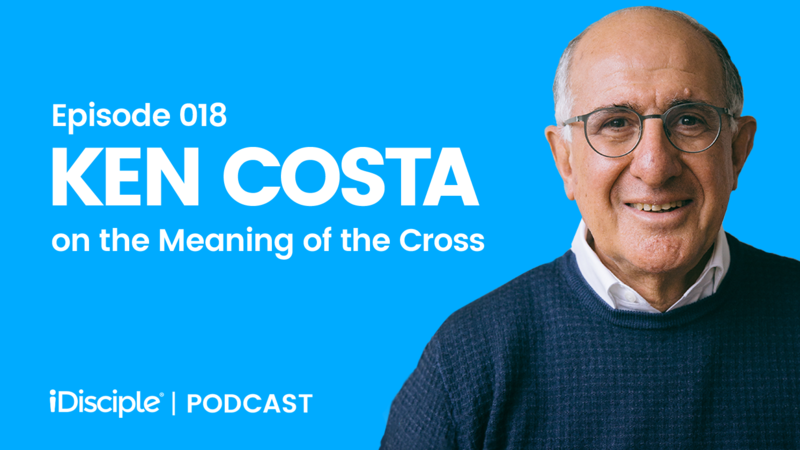 Ken gives us a little insight into how God has worked in his life during four decades in investment banking, and introduces us to his brand new book about the cross, Strange Kingdom: Meditations on the Cross to Transform Your Day-to-Day Life. During that time, Ken has invested heavily in raising up Christian leaders, serving as Chairman Emeritus of Alpha International and Dean of the Leadership College London. In recent years, Ken has founded God at Work and begun writing books about faith, work, and purpose. His most recent book, Strange Kingdom, isbeing released in March of 2018. Strange Kingdom is a powerful look at the cross and the king who died upon it, and is filled with life-changing reflections about the kingdom of God. We pray that David and Ken’s conversation stirs you to take a deeper look at Jesus’ death on the cross, and inspires you to model your life after the savior! How people mistakingly view the cross as something that will limit their lives with rules instead of giving them ultimate freedom through Jesus. If you would like even more life-changing content from Ken Costa, download the iDisciple app! Since 2013, iDisciple has been leading people into a closer relationship with God through music, sermons, and devotionals, all in the palm of your hand! Check out iDisciple to learn more, and sign-up for iDisciple today.